In Kansas City, barbecue and banking are two of the oldest and strongest economic engines of the community. So, it seems only natural that the two would partner on programs. The UMB Smokin Vault Barbecue ‡ and the American Royal School Tours benefit thousands of children who call this region home. Similar to UMB, the American Royal is a storied institution in Kansas City founded on the city’s agricultural roots. Since 1899, the American Royal has served as one of the city’s most popular and well-known nonprofits with a mission to impact the future of agriculture and inspire future leaders through competitive learning, scholarships, education and agricultural events‡. 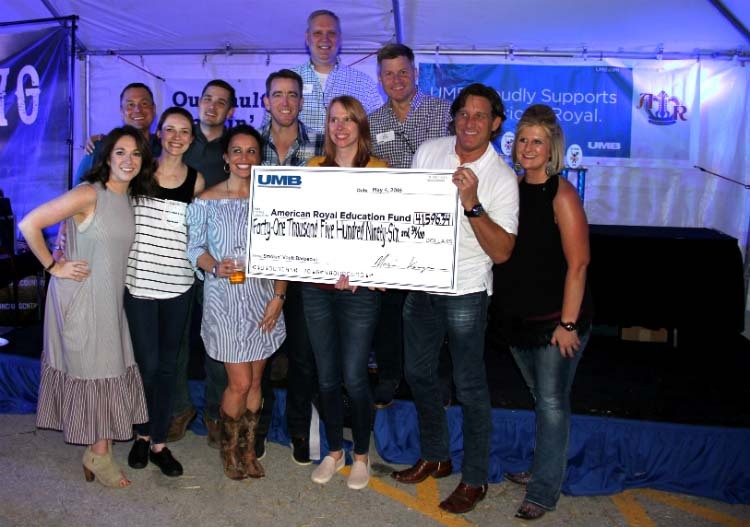 Throughout both organizations’ 100-plus year history, UMB has long been one of the biggest supporters and volunteer partners of the American Royal. While these two establishments have made an enormous impact in their own rights, they came together in 2006 to create the “Smokin’ Vault BBQ” event—– the bank’s own version of the American Royal World Series of Barbecue‡. The UMB Smokin Vault Barbecue is like a company picnic, with a charitable twist. Associate barbecue teams conduct fundraisers leading up to and during the event, and then donate proceeds to support the American Royal Education Fund. Associates and their guests also pay an admission fee, with UMB donating 100 percent of the money to the fund. 2018 was a record-breaking year, collecting more than $42,800 and bringing the event’s 12-year total to $232,240. But associates don’t just donate their dollars, they’re giving their time to support the American Royal and its work to impact the future of agriculture. Compliance analyst Jeremy Barrand was recently recognized‡ by the American Royal with the 2017 Mission and Impact Award. Jeremy has been involved with the American Royal for more than a decade and his exposure to the agrarian lifestyle spans his entire lifetime. However, for the past three years, he has also taken on the role of UMB volunteer coordinator for the annual American Royal School Tours. 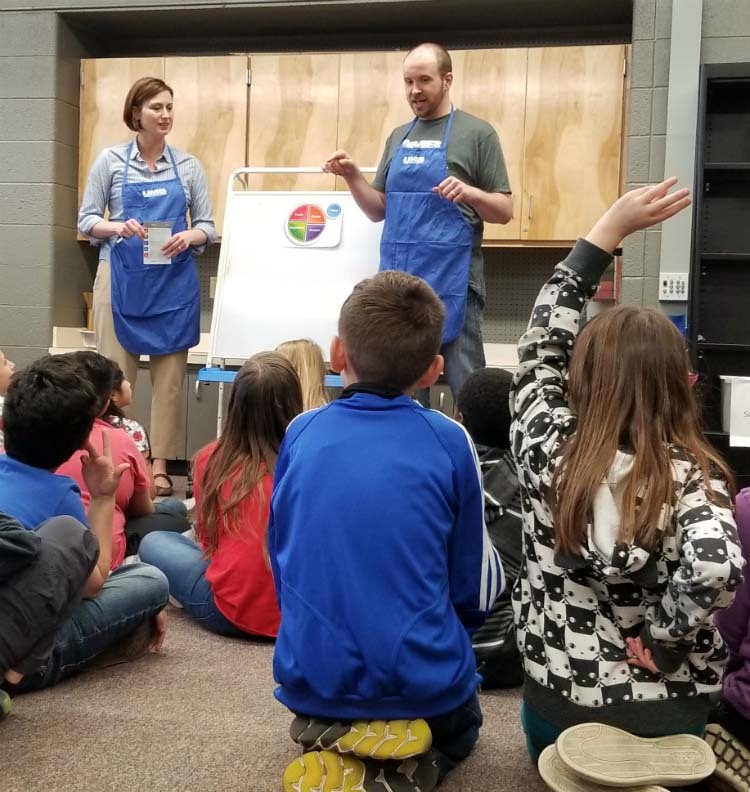 Under Jeremy’s leadership, UMB had the opportunity to do even more to support the Royal’s education programs in 2017, with 105 associates volunteering more than 560 hours in just four days. Whether fundraising or volunteering, the most important takeaway from this partnership is the proof that when two powerful, long-time institutions come together to benefit the community, amazing things can happen. Jen Houston joined UMB in 2015 as community relations manager. In her role, she works to create volunteer opportunities and to be a resource for associates looking to get involved in their communities. Jen holds a Bachelor of Journalism degree and a Bachelor of Arts degree in Spanish from the University of Missouri – Columbia. She also holds a Master of Business Administration degree, with an emphasis in leading and managing people, from the University of Missouri – Kansas City, in addition to completing the Multimedia Studies Certificate Program at the Kansas City Art Institute. Wanted to let the appropriate person know that Brent Stewart (President & CEO, United Way of Greater Kansas City) and his wife, Monica, will not be able to attend the BBQ event on Friday, September 14th at the Kansas Speedway. Their confirmation number was: LFN8YRQ8ZDL. Thank you.